Diamond Earring Jackets Transform Boring into Bold, Bitzy into Big. 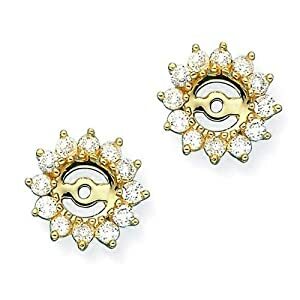 What are diamond earring jackets? They are a fun, fab, easy way to create a new bold look for even the oldest jewelry. If you have jewelry just gathering dust . . . Your jewelry box should be your own personal treasure chest, filled with select and perfect peices that you are always delighted to wear. BUT - sooner or later, we all seem to add up with some odds and end that are simply gathering dust. The main offenders? Almost always the worst offenders will be at least one pair diamond stud earrings. You may even have a few pairs of old diamond stud earrings tucked away, long forgotten and certainly never worn. The solution - diamond earring jackets! Jewelry, even sparkling diamond earrings, get old after a while. 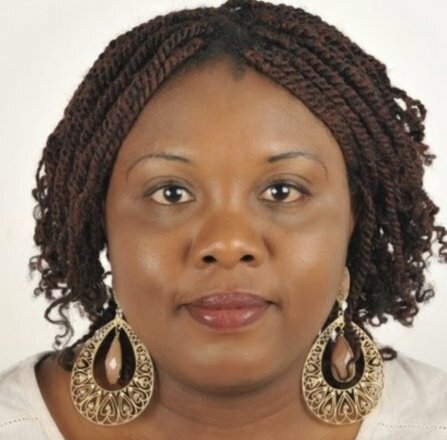 No woman wants to go out with the same piece of jewelry strapped around her wrist or her neck or dangling from her ears, no matter how expensive it is or where she got it. It just seems so familiar. To counter this, jewelers have created a specific piece made to make those old diamond stud earrings feel and look brand new. They are earring jackets. Earring jackets bring your old studs to life. 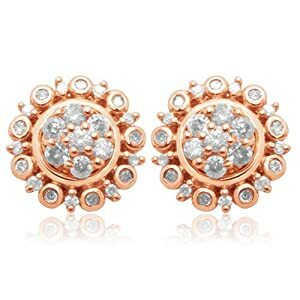 They are shiny and new and add flash and charm to any ordinary pair of studs. Jackets are meant as a way of perking up the old and making it look new. 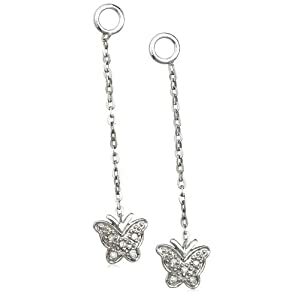 They are usually gold or silver, so they sparkle and even dangle. And let’s face it, most diamond earring studs are small! An earring jacket fixes the problem by making your entire diamond earring look bigger. 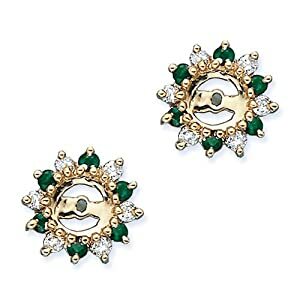 A diamond earring jacket is a great way to turn that tiny stud earring into a full fledged, shiny, sparkly, dangly earring you are proud to wear and that will flatter you and all your favorite outfits. 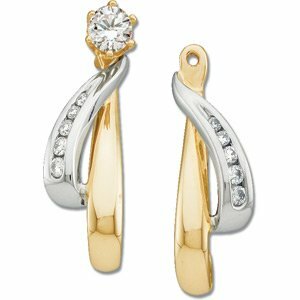 Diamond earring jackets not only make your tiny stud earring look bigger and better, they are SO easy to use. You just slip the post of your earring stud through the little hole in the jacket. That’s it. Hey presto! Another thing that makes earring jackets so fabulous is the fact they are interchangeable. If you get tired of the jacket you have on your stud earring you just slip it off and slide a new one on. Go from silver to gold and back again. Or change sizes, from long and dangly to wide and short and dangly. Whatever suits your mood, no two jackets are the same so you always have a unique look on your ear. You need to know how big your earrings are so you choose the right jacket to fit. Jackets will work well on any sort of stud earring you have, whether it is a diamond or a pearl or something else altogether. 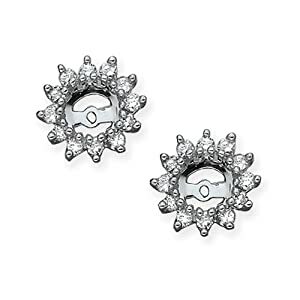 Don’t let your diamond stud earrings gather dust in your jewelry box. Your jewelry box is a part of you. EVERYTHING inside should make you feel your wonderful, beautiful best. Use diamond stud earring jackets as a clever, cost effective way to update and take your whole collection way uptown.